Nik Hill is back to host another amazing line up of stand up comedians in our intimate brewery tap room. With the best locally brewed beers on sale, incredibly talented comedians, and a fantastic venue we believe this is the best comedy night in the county! Tickets are on sale now for this show, and all others upto Christmas. 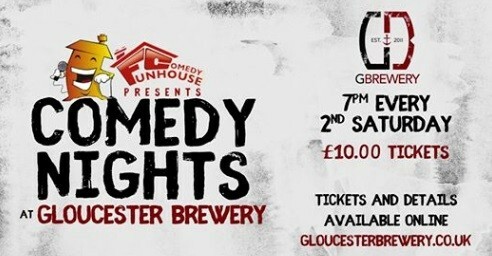 External Website: More details about Gloucester Brewery Ltd and Stand Up Comedy Night!